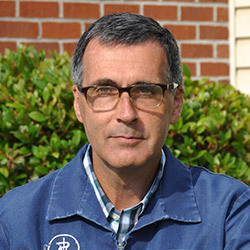 Dr. Kovacs graduated from the University of Tennessee College of Veterinary Medicine in 1987. He owned his own veterinary practice from 1990 to 2001 and has worked with the Gettysburg Animal Hospital since 2008. He and his wife Loretta are raising twins born in 2006, Michael and Mackenzie. On the rare occasion when he has free time, Dr. Kovacs enjoys camping, hiking, motorcycling and bicycling.